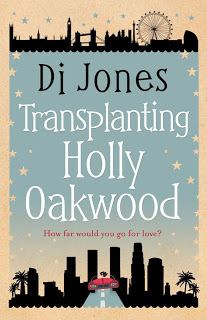 Blogger's Note: I'm pleased to welcome Di Jones, author of Transplanting Holly Oakwood (check out my review here and an excerpt here), to Change the Word as part of her Chick Lit Plus blog tour. Thanks for joining us, today. Di Jones: I’d always wanted to write a book, but never knew what to write about. Ten years ago when I was living in Los Angeles I was quite lonely and I’d send these really long emails home. About five years ago I found them, and it occurred to me I could use some parts of them as incidents in a novel So I started writing Transplanting Holly Oakwood, intending it to be this intellectual look at the differences between two English speaking cities, one London and the other LA. It didn’t quite turn out that way, but instead took in a life of its own. My protagonist Holly might be a bit ditsy, but she’s also strong-minded, and she wanted to tell her story her way. CTW: What characteristics do you share with your MC? · Like to think we’re sophisticated, but have a naïve streak. Apart from that, we’re nothing alike. CTW: What was the biggest challenge you faced writing this book? DJ: The biggest challenge was getting it finished. It took a couple of years, because I kept stopping and starting all the time. I think I had more elapsed time than actual writing time. I’ve always been a bad procrastinator, and apparently I’m not alone. There are tons of articles on the Internet about writers and procrastination. I read most of them while I was procrastinating with my writing. CTW: How did you overcome this challenge? DJ: I’m not sure I have completely overcome it. 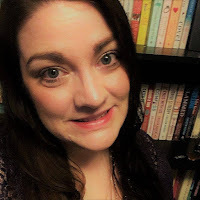 My second book Meeting Miss Mollie was a bit easier because I knew I could complete one, and I definitely did that one faster. But I still sit down to write and instead surf the web, Tweet, check Facebook, pin a couple of pics onto Pinterest. My third book is coming along faster than the second, but discipline is not my strong suit. I tell myself that if I was lucky enough to be able to give away the day job and become a full-time writer, things would be different. We’ll see. CTW: What was the biggest lesson you have taken away from the writing and publishing process? DJ: The biggest lesson is to stay true to yourself, and what you want to write. Of course you have to be committed to learning the craft, but developing your own style and voice are critical. You also have to realize that no matter how happy you are with your work, and how much others like it, there will be some who hate it too. You have to move beyond that, and continue to write what you love. CTW: What one piece of advice would you give to an aspiring author? DJ: Writing is a craft, and unless you are exceptionally gifted, you’ll need to consider your first few years as an apprenticeship. It takes a lot of time , and unless you can afford to give up your day job and write full-time, you’ll need to make a few sacrifices with your leisure time. So my advice is to stay focused and develop perseverance. CTW: If you were stranded on a desert island, what three books would you take with you? DJ: The Lion, The Witch and The Wardrobe, by C.S. Lewis; Roget’s Thesaurus; and a very large blank notebook with hundreds of pages. I’d need a couple of packs of pencils and a pencil sharpener too! CTW: What is one thing you have to have with you to write? DJ: A clear, still, focused mind. I’ll be spending the rest of this year finishing this book and also thinking about the next, which I’ll probably start writing in November. I have a couple of book ideas in mind, so will have a decision to make as to which to go with. CJ: I’d like to take my writing to the next level, and I’ve recently had an approach from a literary agent. 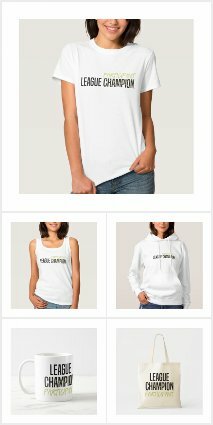 I’m in discussions with them, and can’t say too much because it’s early days, but I’m hoping they’ll be representing me and helping me develop myself as a writer. Please keep your fingers crossed for me! CTW: Fingers crossed. Thanks for stopping by and best of luck on your next writing adventures.